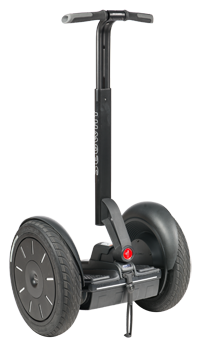 i2 SE plainw200The Segway® Personal Transporter (PT) i2 is our most versatile model. Designed for easy operation over a variety of terrains, the i2 features our new LeanSteer™ technology as well as the new InfoKey™ controller. The perfect synthesis of form, function and fun, the i2 lets you glide through your daily commute or zip from errand to errand, indoors and out, without worrying about parking. Battery range: Up to 24 miles / 38 km, depending on terrain and riding style. LeanSteer Frame Tool-less Release allows you to seperate the LeanSteer frame from the PowerBase with a flip of a lever so you can fit your PT into tight storage spaces or place it in your vehicle. 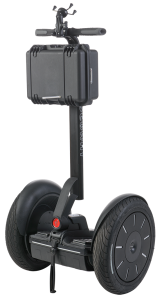 X2 SE plainw200The Segway® Personal Transporter x2 provides enhanced performance on varied terrain with minimal environmental impact. 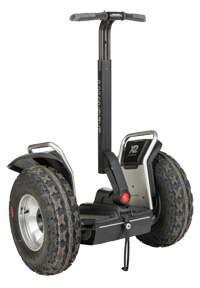 Featuring all-terrain tires, a robust fender design, lithium-ion batteries, and specially tuned software, the rugged Segway PT x2 will go practically anywhere in the wild that you want to go, whether it’s along nature trails, over hilly terrain, or even on the beach. 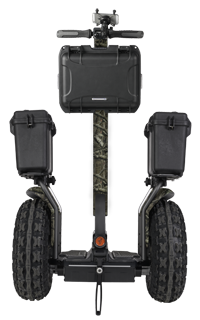 Now also available in Mossy Oak Break Up Infinity Camouflage!